When I wrote me review of the first episode of Telltale's Batman series, I talked about the difficulty of writing stories for so many well known characters. There is so much well established history to the Batman mythos and it is taken so seriously by some, that trying to bring a fresh eye to anything considered canon is a risky move. Movies, shows, animated features, games and even a few comics have aimed to accomplish something like this and failed, sometimes so spectacularly that it becomes a joke for years to come. I was worried that Telltale, in trying to bring so many disparate origin stories together in one series would miss something vital or go too far out on a limb in the name of innovation. After playing the second episode, my fears have lessened substantially. 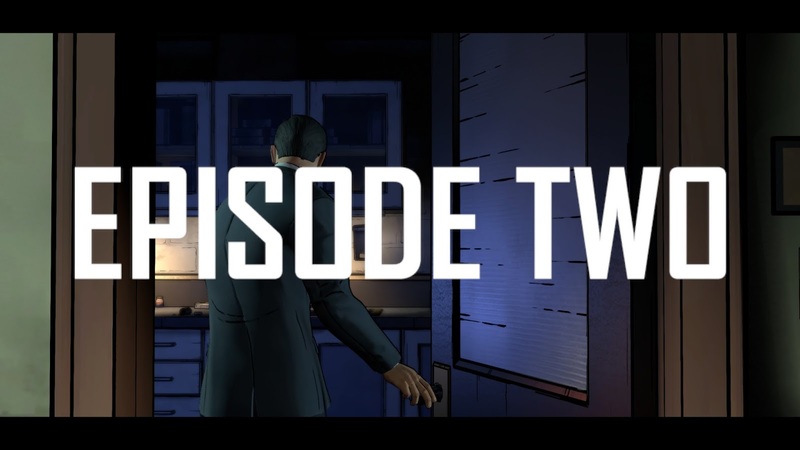 Telltale's second episode picks up with Bruce and Dent as they try to learn more about the surprisingly troubled history of the Wayne family. 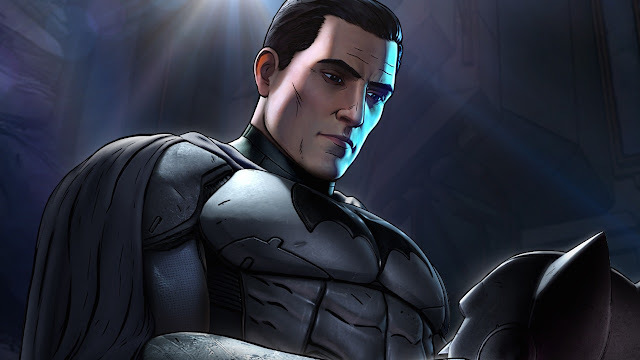 The episode follows Bruce as he works to get at the truth of some very serious allegations in the middle of his work the Harvey Dent's mayoral campaign. There are a lot of new developments in this episode that i don't want to spoil, but I feel a bit ashamed for chiding the use of the flashback sequence in the first episode now that I have the perspective of the second. The meaning of and motivations behind some imagery can be difficult to read when episodes are separated by more than a month. I feel that someone at Telltale must have been listening to the qualms I had with the first episode as they are largely fixed in the second. The backgrounds are much better organized and blended, and overall the graphics seem to have been given a bit of a lift. Shadows and depth on characters, especially in their faces is much better rendered. Still, I did have a few issue with longer load times when I first started the episode, and had some issues with instability. The first time I started the game, I had no sound, and another time it crashed to the desktop out of nowhere without so much as an error message. There are certainly more technical issues in this series than I can recall dealing with from any other Telltale endeavor. By the end of the episode I was left with more questions than answers. The plot is still developing in this stage and I'm very interested to see how it all comes together. There are still a lot of players on the board and a lot can still go wrong. This episode was a strong reminder of just how effective and genuinely surprising Telltale's writing can be.